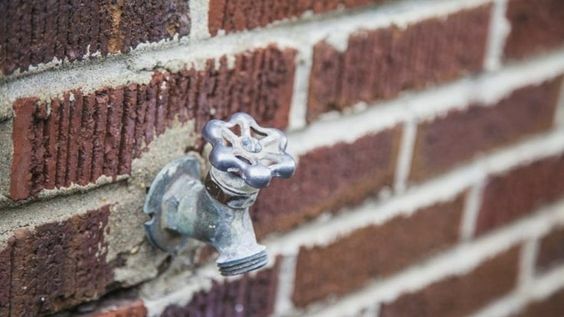 It is important to winterize your outside your home to prevent any damage from water, as freeze damage can destroy a faucet or lead to a burst pipe that could cost you a lot of $$ in repairs. Lace the hose on a hanger inside a garage or shed to protect it from extreme temperatures. Use a hanger made for hoses, which has a large, curved surface to support the hose. Hanging the hose on a nail may cause kinking from the stress of the weight in one spot. Clean your eaves throughs from any debris such as leaves, twigs, and birds nests which could cause water to collect, freeze, and eventually damage your eaves or roof. To clean your eaves simply sweep the debris out of the through using a ladder and your hands or a small broom. The main purpose of winterizing your in-ground swimming pool is to proctect it from damage due to freezing water. When water freezes it expands, causing major damage to your pool, your pool plumbing, and its filter system. Ensure your water level is lower than the mouth of your skimmer to prevent water from getting into the skimmer throat. Ensure to also blow out the water from your plumbing lines. You can do this using a shop vac, be sure to put a plug in the lines at the end with a rubber gasket or "O" ring to make a good seal. Don't forget to drain all the water from your filter equipment. Have a pond with a pump? Make sure to remove your pump from your pond in the fall, clean it thoroughly, and store it indoors for the winter. If you have a direct drive style pump then it can be left in the water and protected from freezing. If you have a waterfall filter, it can be left in place but should be drained. If you have a pressurized filter it should be drained and stored somewhere dry for the winter.